At 5,000 km I had to give this one a one stage machine polish. 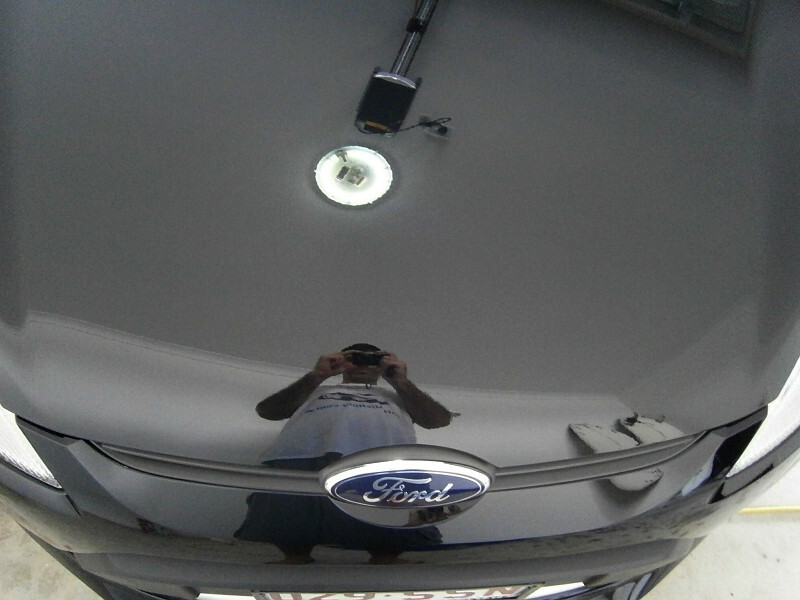 Slow buffing with a finishing Menzerna polish made a massive difference. Deeper, more vibrant red after Opti-Coat. Client was amazed with the new finish. It would be nice if there was more of a write up! Nice finish on this brand new Renault. Zero swirls and a nice colour. 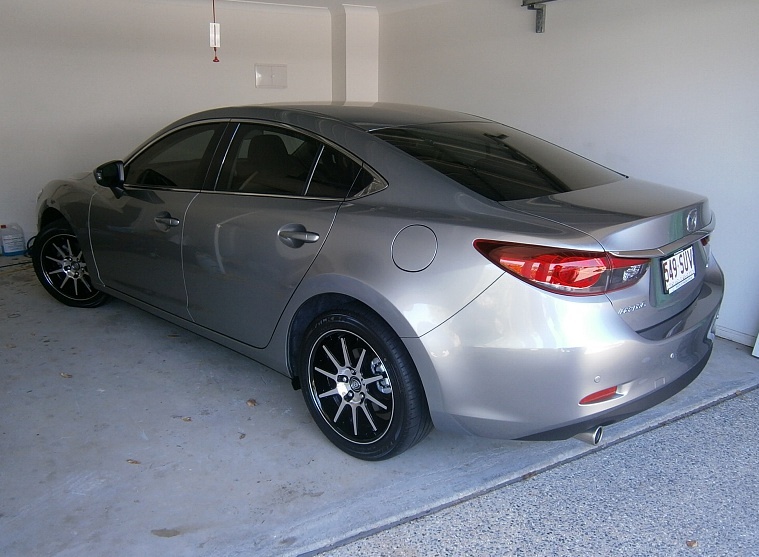 Opti-Coat was applied to paintwork, exterior trims, chrome and wheels. Elanora client (Gold Coast). 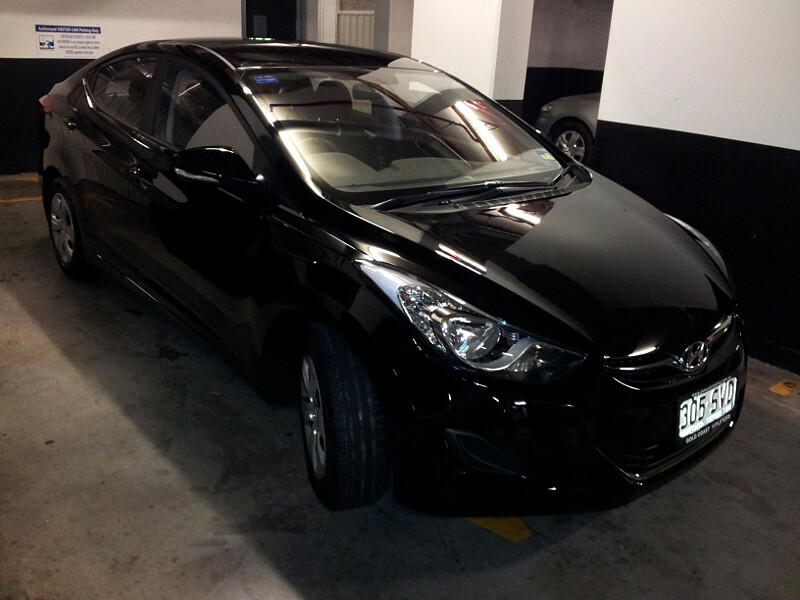 Funny thing about this job was that the car was pretty scuffed (washing marks, swirls, buffing trails) especially the bonnet had pretty severe holograms and this is a brand new Hyundai Elantra. I pointed it out to the client using my LED spotlight (that thing shows everything on the paint even more than sun light!) and he could easily see the marks then he asked me "is it good, bad or doesn't matter?" I laughed and told him that it actually steals the shine away from the finish and it makes it look hazy and dull. Interesting how the majority of the people don't really understand automotive paintwork finish but anyone can really tell the difference after polishing and coating. 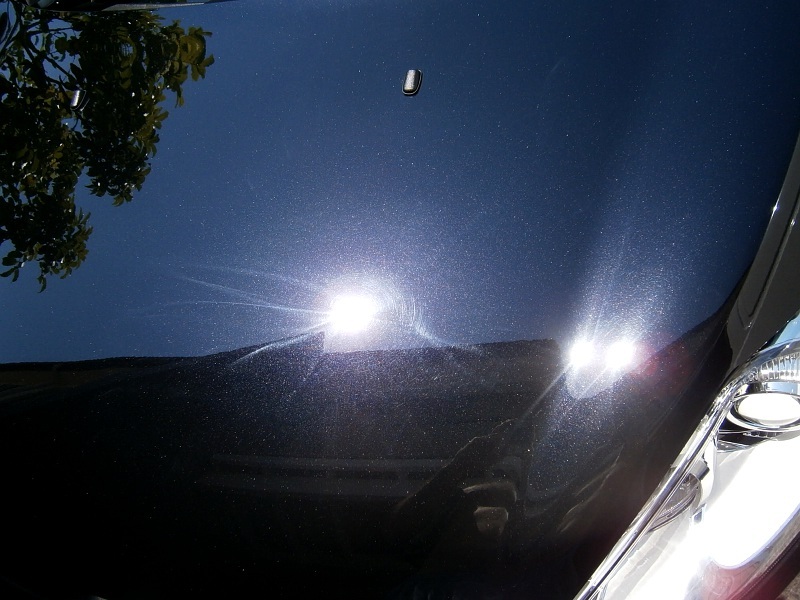 Bonnet was polished before the application of Opti-Coat via random orbital, light polishing pad and a finish polish. Client was pretty impressed with the final result. 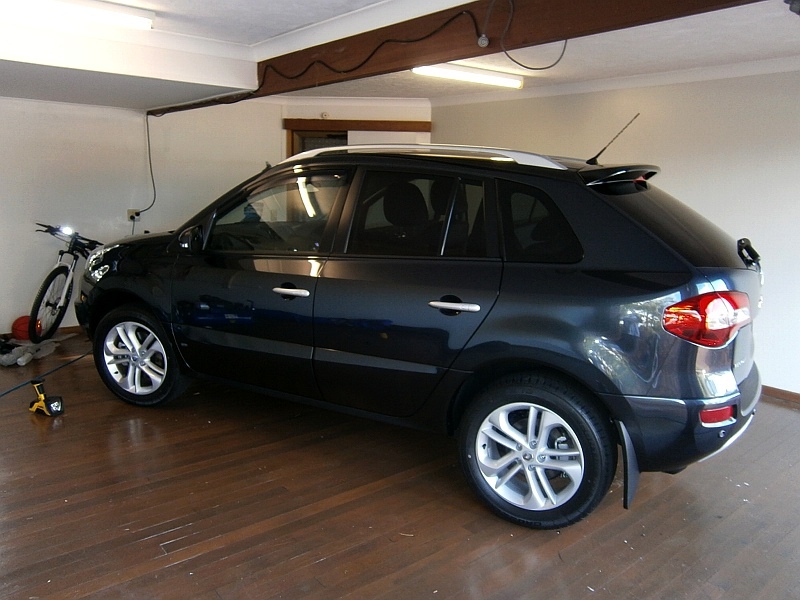 Polished flat black with Opti-Coat correctly levelled looks stunning! How about some progress pics with before and afters out in the sun? I'm also after a better camera, haven't been too impressed with the quality of the photos I've been taking lately. strange they are happy to pay $500ish for opticoat, but dont want the paint corrected fully prior! Sure I know where you are coming from. 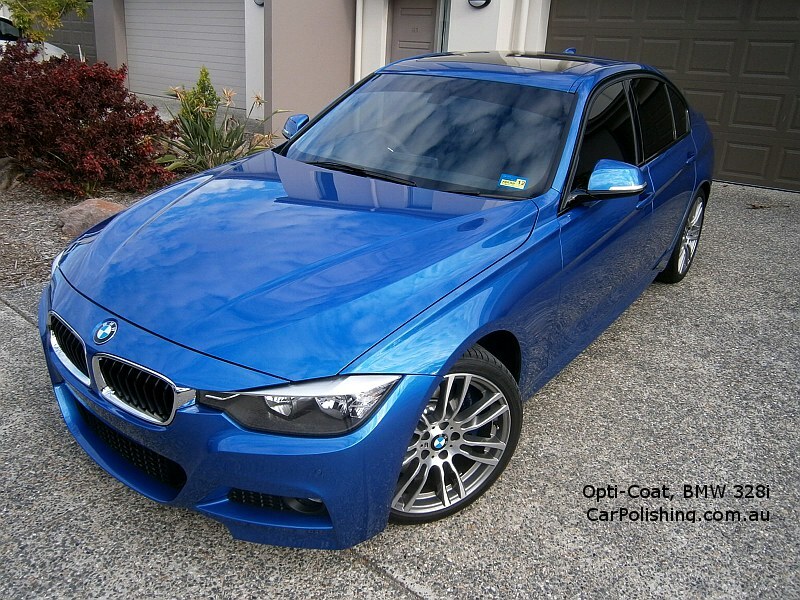 The thing is, as you probably know the general public is looking for paint protection. 99%+ of the people out there are not really aware of what a quality finish is, like some of us are. Think about it, how many so called detailers and spray painters have no idea of what a good finish is? I remember reading somewhere that some guy brought the car back to this hack detail shop and pointed out all the holograms and buffer swirls and the "detailer" looked at him and asked "Holograms? Yes, what is the problem man? They look mad!" :-D LOL! So in the end you can't expect much detail knowledge from John Citizen. 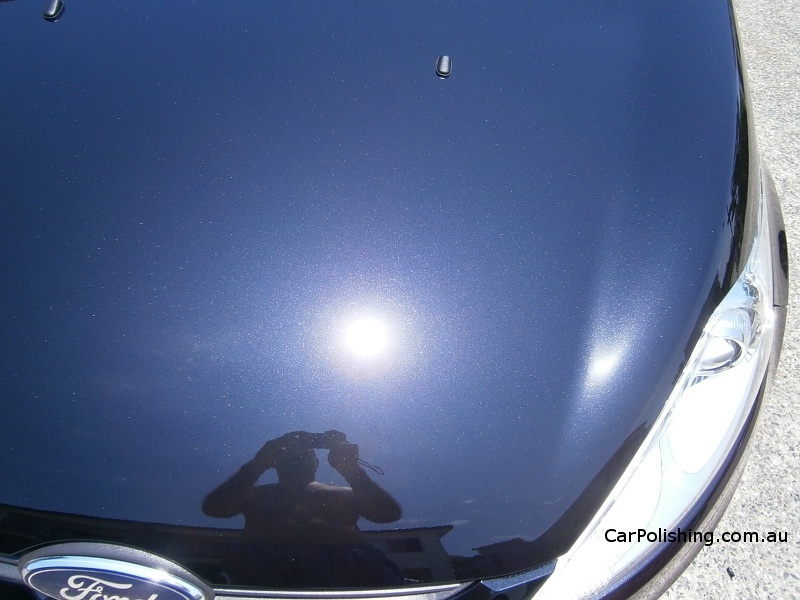 They will only tell the difference after full paint correction or spot correction 50/50. 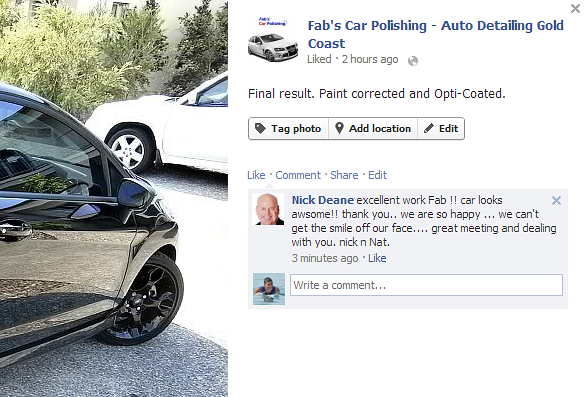 Not often clients that just bought a brand new car are expecting to pay an extra $300+ for polishing. They imagine that their car just rolled out of the production line with an amazing showroom shine. 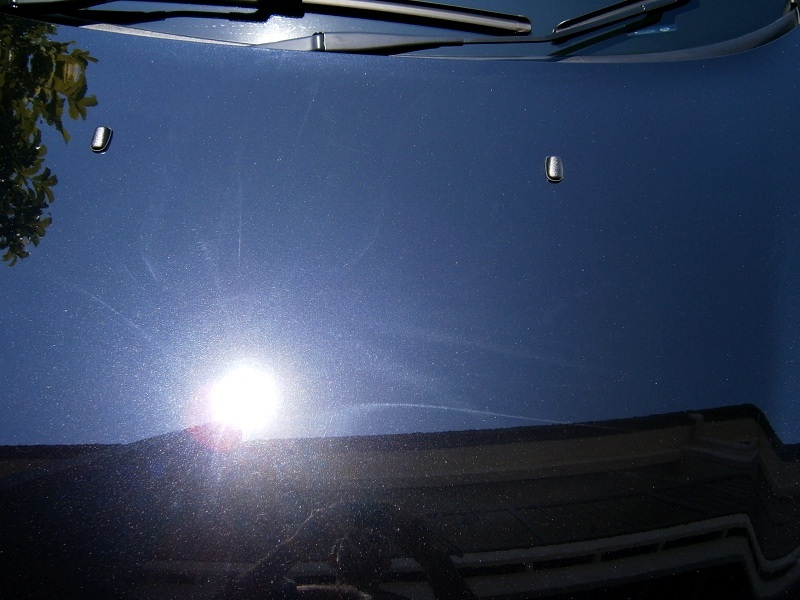 Every time I see a car that needs machine correction before Opti-Coat application, I call the client and point it out under sun light or spotlight, give them a small lecture about polishing and offer the service. It is up to them to decide. If they are happy with that finish anyway I'm not going to argue with them. Would you? Latest Opti-Coat jobs, by the way these cars had a real nice finish, no need for machine correction, just a couple of hand spot polishing here and there. This is for the lovers of before/ after photos under sun light. According to client this was caused by dealership when he took the car back to remove a few scratches that were there before he picked up the car. I did not notice the swirls and holos when he dropped the car, even under sun light! After dewax/decon process I took it out in the sun and it was a mess! Bloody filling glazes... Had to some machine correction. Car had washing scuffs all over too. Photos don't make justice to how bad it was. Client was thrilled with the results. Nice work. 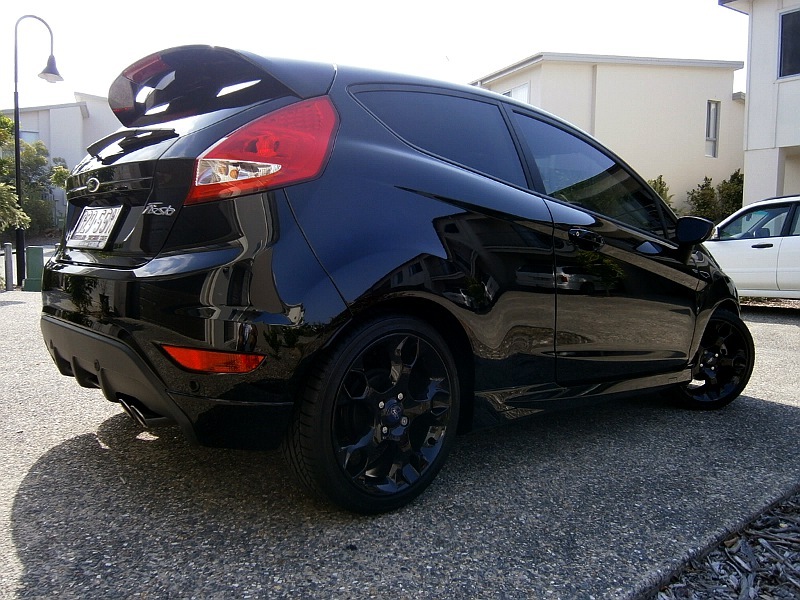 I do like those Fiestas for a small run around. Even after degreaser wash/ decon. using prep towel and a clay bar I could see under sun light a lot of contamination left on this one. You will see that quite often on brand new white cars actually. Tiny black or brownish specks especially on bonnet and roof. These are very stubborn particles and solvents dont do much to them either. After going over those with a clay bar and towel with a little more pressure I was able to remove about 70% of them but still hundreds would not move and when you apply extra pressure, prep towels will start to scratch the clear. That's when I decided to grab a bottle of Optimum Hyper Polish, my DA, a light polishing pad and go all over the car to clean them up more efficiently. Because it was done right and with that idea in mind too, the machine polishing process has also created an amazing shine that simply wasn't there before. It really made a difference. After chemically de-waxing the car for the second time, two layers of Opti-Coat were applied and in the end, this candy white Polo GTi looked fantastic. Who said that white cars can't have a nice deep gloss to it? Last edited by fab; 31-01-2013, 12:14 AM. 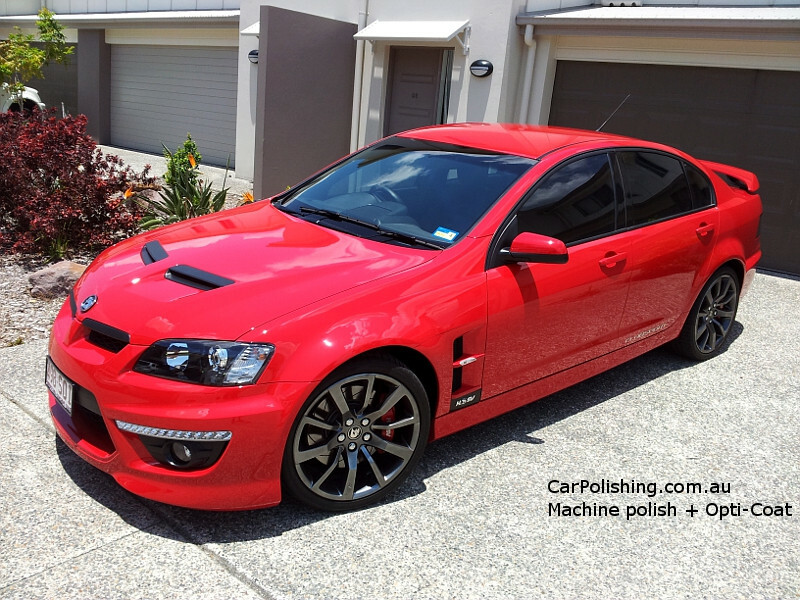 Nice gloss, beautiful on that car. Yes I carry IronX but only use it on cars that have been on the road for a while. This Polo is brand new. I'm not sure if these are metal particles... don't look like but will try it next time. It wasn't tar, I tried a tar remover that also work on some kinds of overspray and it didn't melt them up. Polishing did the trick pretty well though. All times are GMT10. This page was generated at 12:03 AM.